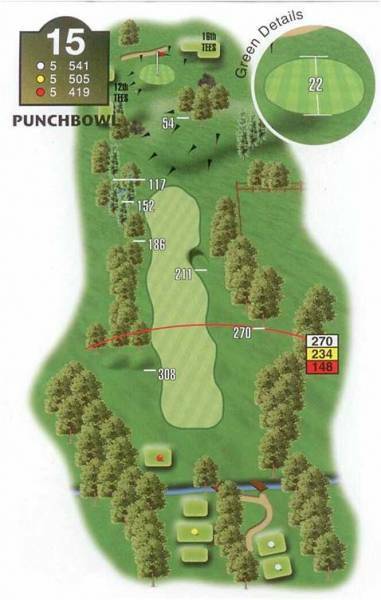 "Striking the ball out of the wilderness of the secluded tee finds a fairway that angles to the right. A straight second shot requires the negotiation of a pond on the left and on the right a large ash tree that has stood like a guardian angel over the 15th green since its conception. "The green lies in an amphitheatre that accepts the ball with ease, ready to challenge the player with some of the most difficult putts on the course."